New Yorkers always ask: Where should I move (or invest) next? Everyone wants to find an affordable place to live — or commit to a purchase while prices are still low but poised to climb. Listings Web site StreetEasy has answers: It just released its ranking of the top 10 New York neighborhoods to watch in 2018. The list is based on four metrics: 2017 changes in median rents and sales prices (the bigger the jump in real estate values, the hotter the ’hood) as well as pageview increases for listings in the areas and the number of new buildings that debuted there over the last year. From perennial favorites like Booklyn’s leafy Fort Greene to up-and-comers like Norwood in the Bronx, these are the nabes you need to know. 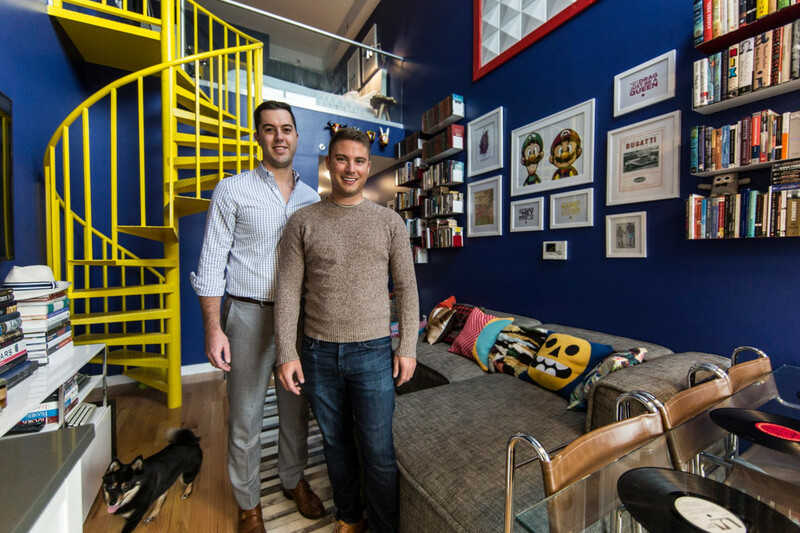 After an apartment hunt that took them through most of Manhattan and Brooklyn, consultant Hinson Neville and his partner Thayne Stoddard settled in West Harlem, where they purchased a one-bedroom at 14-unit condo 362 West 127th St. (where one-beds start at $720,000). They made a good choice, given that West Harlem — defined as the swath between St. Nicholas Avenue and Broadway between 123rd and 135th streets — topped StreetEasy’s ranking this year. With a median sales price of $456,425, the area is a deal by Manhattan standards (even after a 124 percent jump in sales prices this year). Convenient train access at 127th Street and Saint Nicholas Avenue along with nearby projects like Columbia University’s Manhattanville expansion add to the area’s appeal, adds Steven Kramer, an agent with Douglas Elliman, which reps 362 W. 127th. This scenic brownstone Brooklyn mainstay isn’t exactly an undiscovered gem, but stats say the area’s appeal will only ramp up further in 2018. The median sales price in the area increased a whopping 67 percent in 2017 as 15 new buildings became ready for move-ins. Among them were 13 townhouse units at Navy Green, L+M Development Partners and Dunn Development’s transformation of a former Navy prison site. Next month Whole Foods will open the East Coast’s first “365” store (intended as the grocer’s more affordable alternative) in the retail space of Two Trees’ rental 300 Ashland. In recent years, this Queens hot spot has become almost as famous for its development as its dim sum. The sound of construction is everywhere as projects like F&T Group’s 1.2 million-square-foot mixed-use Tangram project (317 condos from $625,000 for furnished studios, $685,000 for one-bedrooms, $1 million for two-bedrooms and $1.85 million for three-bedrooms) and Onex Real Estate Partners’ the Grand at SkyView Parc condo development (750 units from $728,000 for one-bedrooms to $2.6 million for three-bedrooms) transform the neighborhood. Prices are on the rise as well. In 2017, they went up 24 percent and 6 percent for sales and rentals, respectively. Tucked between Roosevelt Avenue and the Long Island Expressway, this Queens ’hood isn’t as celebrated as its neighbor to the north, Jackson Heights, but interest and prices are growing — the median sales price in the area was $590,201 in 2017, up 40 percent year over year. That’s still well below prices in nearby Flushing, whose ongoing boom is trickling beyond its own borders to benefit spots like Elmhurst. Things remain relatively quiet on the new development front, though in recent years projects like Pi Capital Partners’ 83-unit rental building the Elm East (with one-bedrooms from $1,999 a month) have brought new inventory to the area. Pi Capital plans to open another rental building, the 126-unit Elm West, in the next year or so. This triangle in the northwest Bronx might be one of the greenest neighborhoods in the city. It’s bounded to the south by the New York Botanical Garden and to the north by Van Cortlandt Park and Woodlawn Cemetery. Smack in the center is the Williamsbridge Oval, a 20-acre public park built atop a former reservoir. The development scene is still sleepy — Azimuth Development Group’s The Bedford, a 60-unit affordable rental building at 3160 Webster Ave., was the one Norwood property to receive its certificate of occupancy in 2017 — but sales prices are on the rise, jumping 59 percent during 2017 to a still (relatively) affordable $358,000. Its median sales price leaped 75 percent this year to $1.2 million, driven by big-ticket properties like a historic house at 916 Albemarle Road that went for $2.1 million.Surrounded by popular spots like Park Slope, Windsor Terrace and Ditmas Park, it was only a matter of time before this pocket just south of the Prospect Park Parade Ground took off. It seems 2018 will offer more of the same, with, for instance, a nine-bedroom Victorian at 184 Rugby Road currently on the market for $3.1 million. Renters can still find bargains, though. Despite a number of new leases inked at the snazzy Parkside Brooklyn rental, neighborhood rents dropped 5 percent in 2017. Apartments can still be found at a discount in this downtown neighborhood — but barely. Sales prices rose 50 percent to $1.07 million in 2017, bringing them nearly even with the Manhattan-wide median price of $1.1 million. And big developments are looming — literally! Several residential high-rises are planned for the edges of the area, including a 77-story, 639-unit mixed-income rental building from JDS Development at 247 Cherry St. and a pair of 700-plus foot towers from L+M Development Partners and CIM Group at 260 South St. that will house about 1,350 rentals. Extell’s 800-foot-tall, 815-unit condo building One Manhattan Square (one-beds from $1.2 million, two-beds from $2.0 million, three-beds from $3.5 million) at 252 South St. topped out in September. This oceanside enclave next to Coney Island saw its median sales price grow to $489,000 in 2017, up 21 percent. Known as “Little Odessa” for its large Eastern European population, the neighborhood offers beachside living at complexes like Muss Development’s Oceana Condominium and Club. Newer developments inland include 44-unit condo building 108 Neptune Ave., where two-bedrooms start at $530,000. Looking ahead, developer Sergey Rybak is planning a 22-story, 114-unit apartment building at 271 Sea Breeze Ave. Located east of pricey (for Queens, anyway) spots like Astoria and Long Island City, this neighborhood has remained a bargain. Even accounting for an 11 percent rise in 2017, the median sales price is still a reasonable $390,000, with two-bedroom co-ops available for less than $400,000. Median rents, meanwhile, rose 5 percent to $2,000. Sooner or later, those kinds of numbers are bound to draw interest. We’d bet on sooner: Pageviews for Woodside listings on StreetEasy spiked 65 percent in 2017.